NEW YORK — Watching the struggle over funding for a border wall, I am struck by the way in which, in one sense, Donald Trump has already achieved success. He has been able to conjure up a crisis out of thin air, elevate this manufactured emergency to national attention, paralyze the government and perhaps even invoke war-like authority and bypass Congress. He may still fail, but it should worry us that a president — any president — can do what Trump has done. Let’s be clear: There is no crisis. The number of undocumented immigrants in the United States has been declining for a decade. The number of people caught trying to sneak across the southern border has been on a downward trend for almost 20 years and is lower than it was in 1973. As has often been pointed out, far more people are coming to the U.S. legally and then overstaying their visas than are crossing the southern border illegally. But it’s important to put these numbers in context. Over 52 million foreigners entered the U.S. legally in 2017. Of this cohort, 98.7 percent left on time and in accordance with their visas. A large portion of those remaining left after a brief overstay, and the best government estimate is that maybe 0.8 percent of those who entered the country in 2017 had stayed on by mid-2018. Even the DEA acknowledged in a report last year that while the southern border is the conduit for most of the heroin entering the United States, the drug typically comes through legal points of entry. In other words, a wall would do little to stanch the flow. As for drugs, the greatest danger comes from fentanyl and fentanyl-like substances, which are at the heart of the opioid crisis. Most of this comes from China, either directly shipped to the U.S. or smuggled through Canada or Mexico. Trump has addressed the root of this problem by pressing the Chinese government to crack down on fentanyl exports, a far more effective strategy than building a physical barrier along the Mexican border. Even the DEA acknowledged in a report last year that while the southern border is the conduit for most of the heroin entering the United States, the drug typically comes through legal points of entry, hidden in cars or mixed in with other goods in tractor-trailers. In other words, a wall would do little to stanch the flow. And yet, the power of the presidency is such that Trump has been able to place this issue center-stage, shut down the government, force television networks to run an error-ridden, scaremongering Oval Office address, and now perhaps invoke emergency powers. This sounds like something that would be done by Presidents Vladimir Putin, Recep Tayyip Erdogan or Abdel-Fattah el-Sissi, not the head of the world’s leading constitutional republic. When the U.S. government has created this sense of emergency and crisis in the past, it has almost always been to frighten people, expand presidential powers, and muzzle opposition. When the U.S. government has created this sense of emergency and crisis in the past, it has almost always been to frighten people, expand presidential powers, and muzzle opposition. From the Alien and Sedition Acts to the Red Scare to warnings about Saddam Hussein’s arsenal, America has experienced periods of paranoia and foolishness. We look back on them and recognize that the problems were not nearly as grave, the enemy was not nearly as strong, and the United States was actually far more secure. The actions taken — suspending civil rights, interning Japanese-Americans, taking the nation to war — were almost always terrible mistakes, often with disastrous long-term consequences. And yet, presidential powers have kept expanding. Modern media culture has made it easier for presidents to set the agenda, since the White House is a central and perpetual point of focus and now receives far more attention than it ever did. Trump has managed to use this reality and turn good news into bad, security into danger, and almost single-handedly fabricate a national crisis where there is none. I now believe that an urgent task for the next few years is for Congress to write laws that explicitly limit and check the powers of the president. This whole episode highlights a problem that has become apparent in these last two years. The American president has too many powers, formal and informal. This was not intended by the Founders, who made Congress the dominant branch of government, and it is not how the country has been governed for much of its history. But over the last nine decades, the presidency has grown in formal and informal authority. 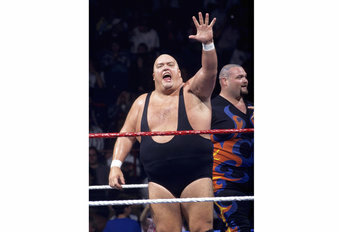 I have been an advocate of a strong executive for most of my life. I don’t much like how Congress operates. I now realize that my views were premised on the assumption that the president would operate within the bounds of laws, norms, and ethics. I now believe that an urgent task for the next few years is for Congress to write laws that explicitly limit and check the powers of the president. I would take polarization over Putinism any day. 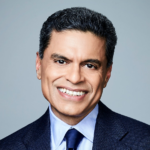 Fareed Zakaria writes a foreign affairs column for The Washington Post. He is also the host of CNN’s Fareed Zakaria GPS and a contributing editor for the Atlantic. His email address is comments@fareedzakaria.com. Did Organizer of Turkish Ag Delegation Deny Armenian Genocide?